Every year, it brings the coaches at No Boundaries great pride to see our students entering boldly into the CrossFit Open. While we certainly inject a hefty dose of fun into the Open, the competition setting involves vulnerability and hard work too, and that’s something we want to specifically recognize and appreciate. Each week, we would like to recognize one of our students competing in the Open this year. This week, we celebrate Tom McFarland. Tom is participating in his sixth CrossFit Open with us, and is a student as well as a leader in our Strongcore corporate wellness program. Tom exemplifies the results that consistency and deliberate practice can yield. 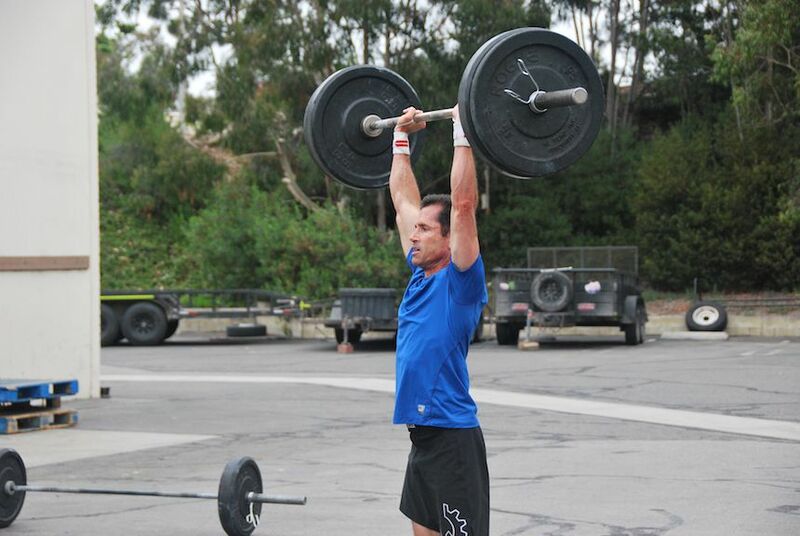 In the 2014 CrossFit Open, Tom placed 50th worldwide as a masters athlete, and competed that year in the CrossFit Regionals. However, a string of two shoulder surgeries and a knee surgery the following years set Tom back in his competitive pursuits. Not one to lean on excuses or give up in the face of challenges, Tom continued to apply himself to his training and rehabilitation efforts each year, all while taking care of business as the CEO in the highly demanding and competitive airline industry. This year, he returns full force to the field of competition, and it is clear that his continued efforts have paid off. Tom currently sits in 22nd place worldwide (17th in the USA) in the Masters 55-59 division of the 2019 CrossFit Open. This earns him a well-deserved spot to compete in the next stage of competition -- the Qualifiers. As significant as Tom’s athletic achievements are his commitments to leading from the front. As a student of our Corporate Wellness program, Tom trains alongside employees and recognizes the significance of the community that can form around challenging physical efforts. It’s not every organization that develops a program dedicated to the health, fitness, and general growth and development of its workforce, and Tom leads in more ways than one. We are proud of Tom’s accomplishments and efforts thus far, and look forward to seeing him continue on this journey. The Open is officially over, but this year CrossFit will host a second Open season in October. This is an incredible opportunity to apply yourself to six months of dedicated training, and see how much further your efforts will take you.